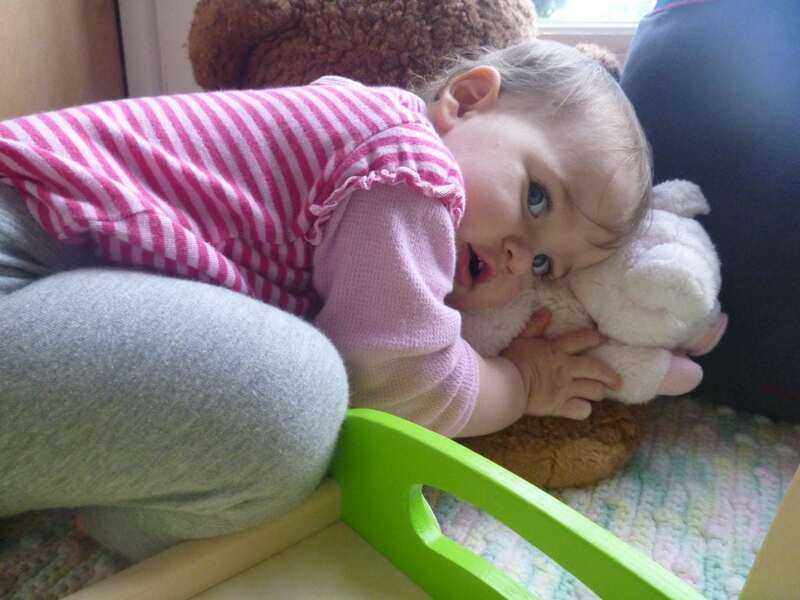 Helping children learn to fall asleep when they are tired is one of the big challenges of the early years. Some of this comes from our own view of sleep and children’s sleep. Consider the terms we use, ‘sleep training’, ‘falling’, and ‘putting’ to sleep, how do they color your view of the situation? 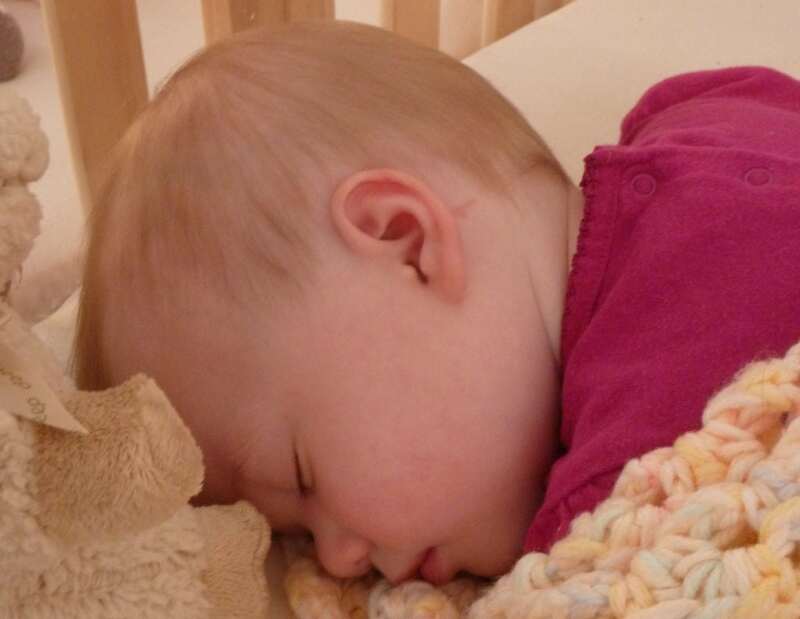 When you think, ‘I am going to help this child to find their sleep,’ or ‘I’m going to create an environment to invite this child to sleep,’ you start in a better state of mind. How do you approach sleep as an adult? ⠂Does it come easy to you? ⠂Do you dedicate time for sleep? ⠂Do you consider yourself as a person who needs a lot or a little sleep? ⠂Are you sensitive to your sleep environment? ⠂Do you sleep with a partner? ⠂What would be your ideal sleep schedule, situation, and environment? Considering the following statements, what do you believe about sleep? Sleep is a waste of time. I could never get eight hours of sleep. I catch up on sleep on the weekend. Sleep is essential to physical and mental health. Adults must help children to sleep. If sleep is disrupted it becomes a downward spiral. 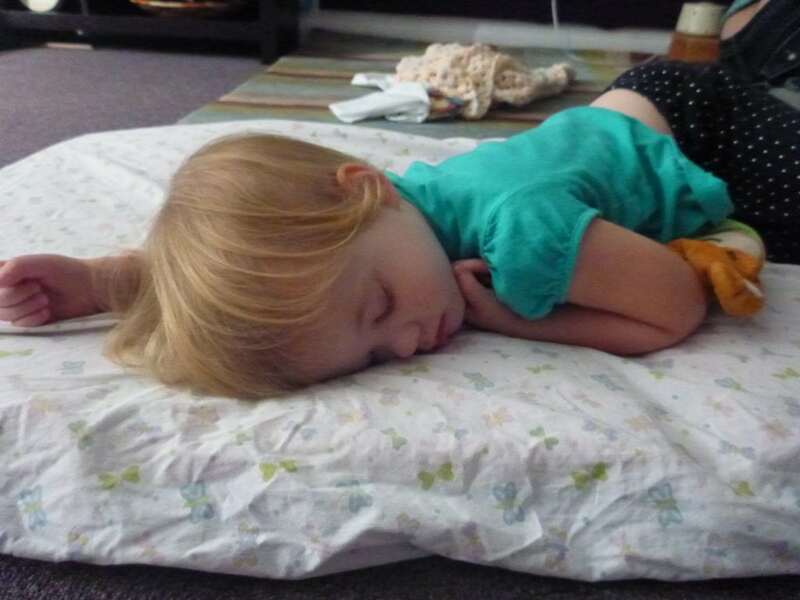 Napping is essential for young children. Adults shouldn’t nap. My next day is a disaster if I or my child doesn’t sleep at night. Sleep like many things is not something we can control. We can support children through creating a healthy schedule and coaching them to actively calm but we cannot ‘put’ them to sleep. It is normal for sleep to sometimes be challenging for children and adults but we can help our children to learn to let go and sleep. For young children, sleeping 10-12 hours at night and 1-4 hours during the day is essential to their well being and health. A total goal for 13 hours between ages 1-3 and 14+ hours for children under age one. Adults needs 8.25 hours of sleep each night. Sleep is not always easy for children and adults, and we as parents and caregivers have a responsibility to support children to be well rested. Emotions effect sleep. Changes in sleep location effects our mind's ability to rest. There is no sleep bank; you cannot sleep more on one day to 'make up' for losing sleep another. 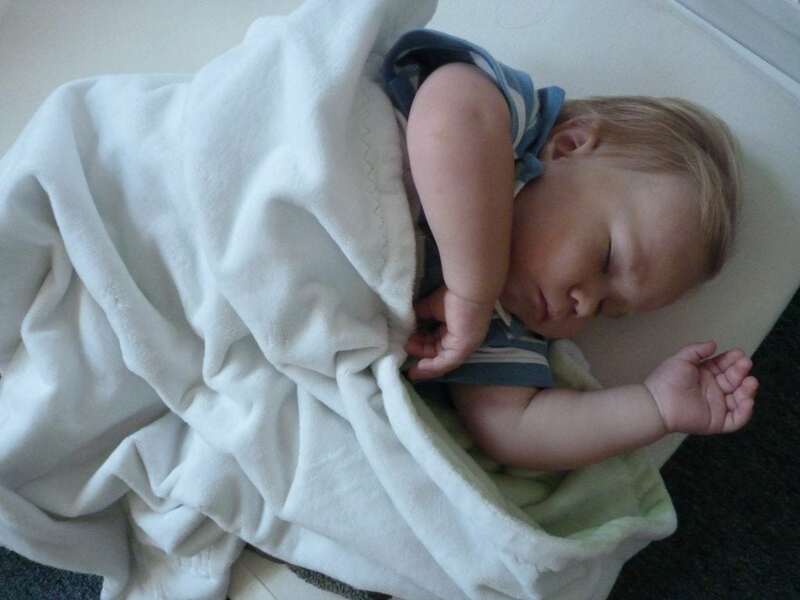 Help children learn to fall asleep at night and for naps quickly, calmly, and willingly. Provide the time and support for children to sleep 13-16 hours a day. Help children, parents, and other caregivers recognize and prioritize sleep for children. When young children are tired, but the environment is too stimulating for sleep, they learn to keep themselves awake rather than listening to their body’s signals that they are tired. This is like an adult who is working to keep themselves awake to drive at night. When finally settling down to bed you feel wired. The best thing to do is prevent children from becoming overtired. If a child becomes overtired, try to offer a little more flexibility and empathy until they get back to their normal schedule. We use the saying “Less Sleep = Less Sleep” to help remind us that keeping a child awake will not help them to sleep longer later. Children's schedule should respect their need for sleep and protect space for the child to sleep as closely as possible to when he is tired. Young children need support from adults to stop play and make time for rest. If adults are able to notice children's earliest cues they will be able to prevent children from becoming overtired and ease the transition to sleep. If you've identified a child is overtired then you may want to think about what cue may have been present just before that. When you begin to think your child is sleepy based on their cues or regular pattern we recommend helping your child to calm to sleep. Ultimately your goal will be that your child will calm to sleep independently but it will take time to build that independence. 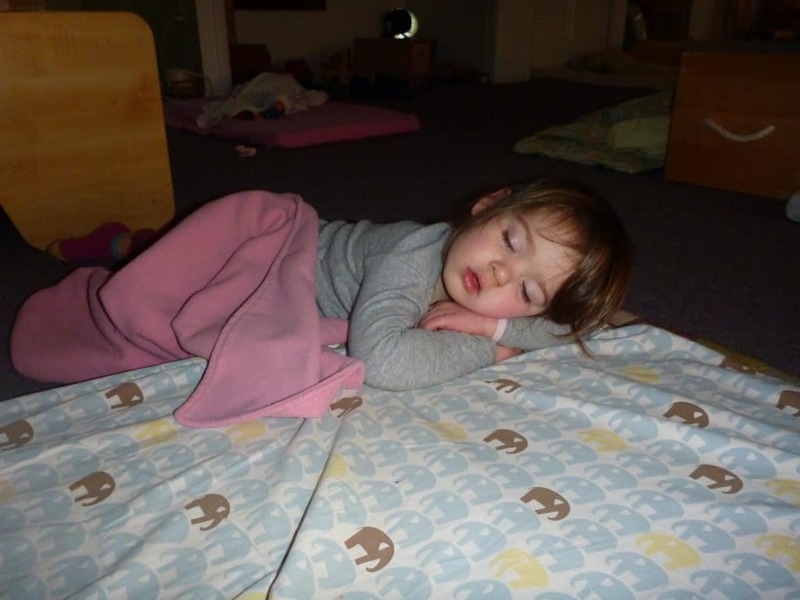 Even children who are independent sleepers will typically have some calming and connecting routine prior to falling asleep independently. 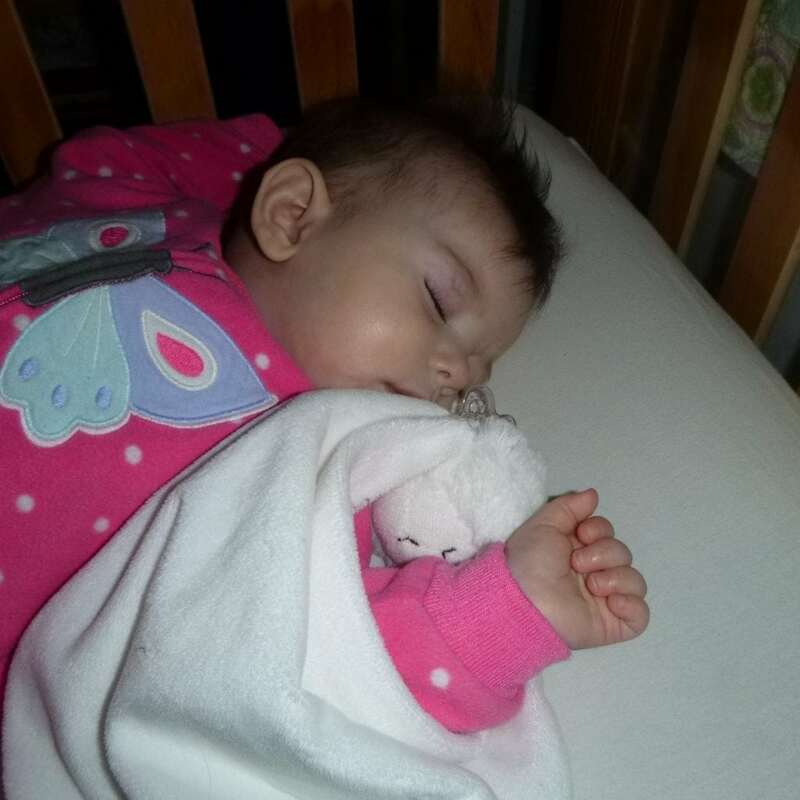 We recommend creating a sleep routine that includes a few calming and connecting moments to help children relax to sleep. We like Mary Sheedy Kurcinka's frame pictured right. Sleep routines will include a transition from active to calm, connection moment with a caregiver, an then a cue, before children switch to sleep. For example one classroom routine was books on bed as a transition, tuck in from teachers was the connection, a sleep cd was a cue, then children switched to sleep in their own way some with a teacher near others alone. Like adults, sleep doesn't always come easily for chidlren. For any number of reasons sleep may be more challenging for some children or some moments and extra help will be needed. You will want one or two tools that work well for your child to help him calm when he's gotten overtired or off schedule or is feeling ill. Consider your specific child when determining their routine and tool box. What helps your child to calm? A bath for example may be a calming experience for one child and for another it may be energizing. Both your sleep routine that happens every night. Humans are mammals we need a comfortable, quiet, dark, safe place for sleep. Different children respond differently to their environment. Some children may prefer a heavy blanket while others may prefer nothing touching them. Within the guidelines of safe sleep for young children we can create a nest for children's sleep. A good nest promotes calm through all the senses.